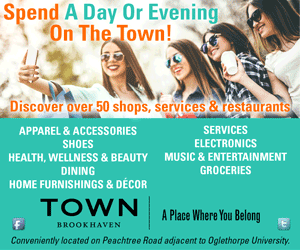 Even if you’re not hopping on a flight from Hartsfield-Jackson Atlanta International Airport, the neighborhoods that encompass the ATL Airport District, including Hapeville, East Point, College Park and Union City, offer plenty of lesser-known landmarks and museums to explore. The area also hosts events throughout the year, including Airport District Restaurant Week and Spin the District, a multi-city cycling race. Each is a town of its own, complete with main streets lined with shops and restaurants ready to welcome you. A Porsche hits the track at the Porsche Experience Center. Learn about Atlanta’s hometown airport at the historic hangar that houses the Delta Flight Museum. The College Park attraction showcases the company’s history from regional farm airline to international giant. Since 1995, the 68,000-square-foot museum has been a showplace for vintage aircrafts, flight attendant uniforms and items from partnerships such as the 1996 Olympics. Tour the Spirit of Delta, a Boeing 747 purchased by airline employees, or test your skills on the flight simulator. Delta isn’t the only major company to call the Airport District home. Hapeville’s Porsche Experience Center educates visitors about the luxury German car manufacturer at its North American headquarters. The state-of-the-art facility includes a gallery of the brand‘s classic cars, a driving simulator lab and a test track where visitors can take a spin in some sporty vehicles. After your high-octane afternoon, unwind with a pint at Arches Brewing, in Hapeville, the southside’s only craft brewer. Founded by five friends who began home brewing in 2005, today Arches’ tasting room offers three year-round brews as well as limited release American- and European-inspired lagers and ales. Sip a Southern Bel’, Arches’ take on a Belgian pale ale, by the courtyard’s fire pits. 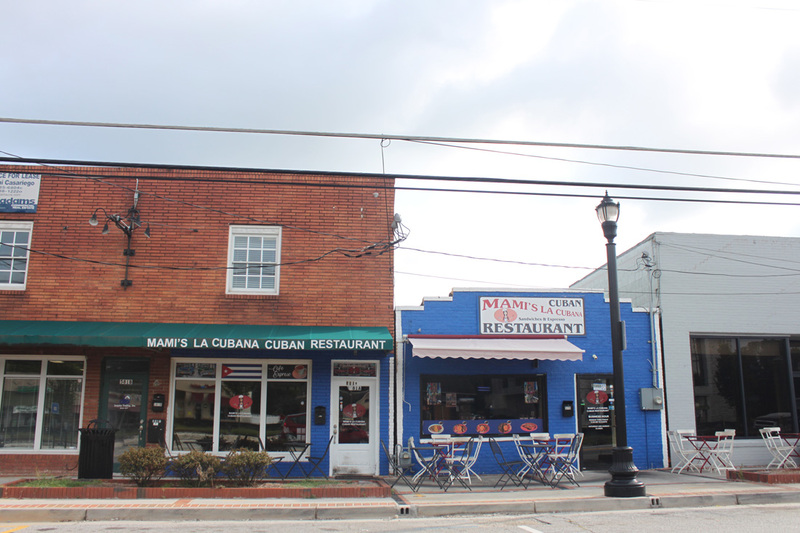 Mami’s La Cubana serves up authentic Cuban sandwiches. Whether you’re looking for a quick, casual bite or a special occasion dinner, the neighborhoods around the airport offer something to satisfy every taste. A favorite lunch spot of airport employees, Mami’s La Cubana serves some of the tastiest Cuban fare outside Havana, including tostones, ropa vieja and medianoche sandwiches. The restaurant is small, so you might have to wait for a table, but it‘ll be worth it. Just order a strong Cuban espresso to sip while you wait. Also in downtown Hapeville, Volare Wine & Bistro is open for lunch and dinner and serves globally inspired dishes only five minutes from the airport. The neighborhood restaurant has an extensive wine list to pair with entrees such as fire roasted branzino and grilled salmon. The district is also home to two food companies. The Chick-fil-A Dwarf House in Hapeville is one of the fast food chain’s original locations, while juice company Arden’s Garden is headquartered in East Point. The rooms at Solis Two Porsche Drive offer runway views. The airport area has plenty of big name hotels, especially those around the Georgia International Convention Center. Until recently, boutique options were few. Enter Solis Two Porsche Drive, the second United States location for the brand. 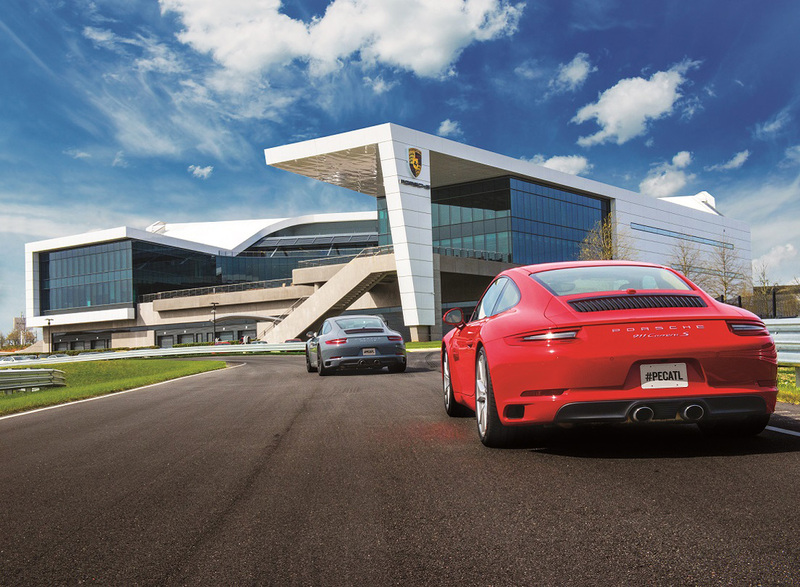 Opened in 2017, the property airport runways and the Porsche Experience Center’s test track. It takes its inspiration from Porsche with a European motorsports motif in the decor. 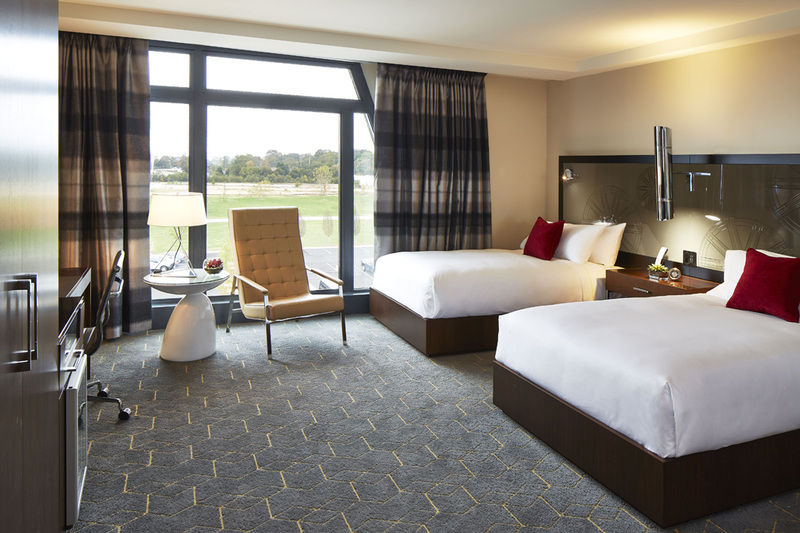 Standard in-room amenities include flat-screen televisions and coffee makers; the hotel also has a rooftop bar, swimming pool, fine dining restaurant and complimentary airport shuttles.